Weddings in the Philippines are huge affairs. Not only do they include the most distant branches of the couple’s family trees, but friends, neighbors, and sometimes even parents’ business associates are invited. With a scale such as this, is there a way to document each precious moment of your special day? Below are exactly right people you need to achieve this. 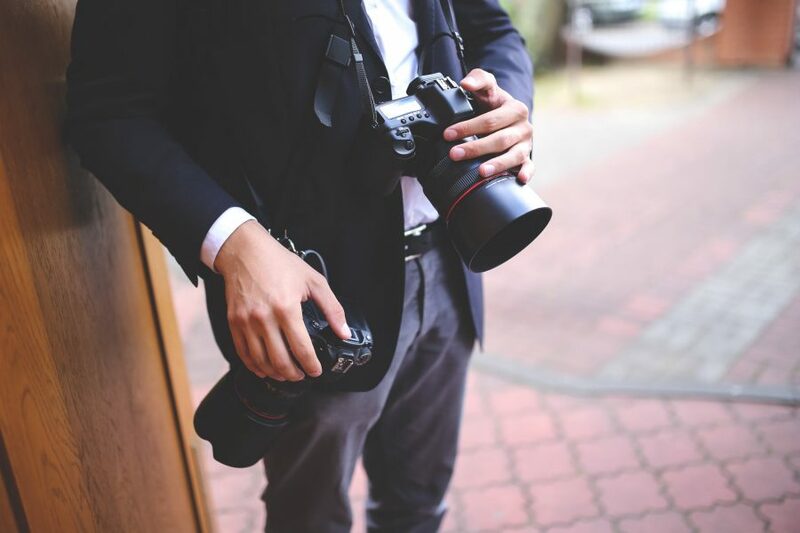 The following wedding photographers and videographers will make sure that your celebration is captured in the most genuine way possible. Mayad Studios is currently the leading wedding videographer in the country. They are known for covering numerous highly-publicized celebrity weddings such as Marian and Dingdong, and Maricar and Richard. What makes Mayad Studios unique is their willingness to share their expertise to create more high-quality artists like their team. They hold Mayad Academy in different international cities, teaching seasoned and newbie photographers and videographers alike how to achieve the signature Mayad look. Hire them if you want your wedding video to look like a big-budget epic romance movie. They’re one of the firsts to utilize drones to capture super wide dramatic shots that really pull in viewers. They’re awesome because you can choose from different directors, each of whom adds their own flavor to each video they shoot. The downside is that because they’re so popular, it can be difficult to book them, especially during wedding peak season. Their packages are also not budget-friendly. Get ready to shell out around ₱100,000 for the photos, plus ₱110,000 and up for your video and SDE director. Nice Print Photo is actually responsible for Marian and Dingdong’s wedding photos, while Mayad took care of their videos. As their name suggests, Nice Print’s forte is photography, making them one of the prefered wedding photographers in the country. What makes Nice Print Photo special is their wide variety of services. Whatever your occasion may be – christening, kiddie parties, engagement or tinghun (which is especially for Filipino-Chinese), debuts, and weddings – they have a package for that. Hire them if you want your wedding photos to tell a classic tale of love. Their style is simple yet elegant, but they can also achieve different looks like dramatic or quirky. They’re awesome because their packages include everything you will need for every step of your nuptials. They may be a bit pricey, but they also offer very good value for money. The downside is that they’re known to sometimes let freelancers handle other events. Of course, they filter their freelance hires properly, but the end result may differ from the typical Nice Print Photo look. Get ready to shell out up to ₱150,000 for an all-in package that includes prenup photo and video with album, full wedding coverage, SDE and AVP, canvas print out, and guestbook. Metrophoto is a favorite among younger couples because of their style. Specializing in photos, this team seems to have a knack for capturing the essence of young love in tantalizing backdrops. They’re also the chosen wedding photographers of celebrity couple Billy Crawford and Coleen Luna. Hire them if you want your wedding photos to look like a modern indie love story. Their shots are stylish and edgy with a generous amount of drama and wonderful usage of vignettes. They’re awesome because they also do destination shoots, as well as engagement and debut shoots. The downside is pretty much only their price. Sure, it’s all-in, but will eat up a huge chunk of your wedding budget. It’s also unclear if this includes video, which is unlikely because they don’t have videos in their website. Get ready to shell out up to ₱275,000 for the full package of the founder and visionary behind the company himself, Oly Ruiz. This includes a full day coverage, prenup shoot, AVP, album, canvas print out, and magazine feature. Somewhat lesser-known but equally produce great quality wedding videos, Threelogy actually has some celebrity weddings under their belt. They set themselves apart by making sure they capture truly candid moments instead of artificially posed ones. Hire them if you want your wedding videos to look like the next Hollywood tearjerker. They’re awesome because customers love their cool and chill attitude and how they sometimes throw in freebies! The downside is the fact that Threelogy has at least 2 teams, and you may not get to know which team you’re going to get (one of them has the star videographer). The package also doesn’t include photo. Get ready to shell out up to ₱130,000 for an HD full coverage, same-day edit and/or AVP. Jason Magbanua’s name is pretty much equivalent to moving, tear-jerking wedding videos. He’s hailed as the game-changer of wedding videos. He’s the first to produce wedding videos worthy of the big screen when it used to only be just plain documentation of the whole day. Hire him if you want your wedding video to look like a romance fit for Cannes. He’s awesome because he also shares his expertise and trains high potential videographers to create art at the same level as him. He gives lectures, vlogs, and shares personal thoughts in his website’s blog. This allows you to really know him and his craft, and make that necessary connection that couples and their wedding suppliers need to truly understand each other. The downside is also related to his in-demand status. It’s difficult to book Jason because well, he’s pretty much fully booked the whole time. Make sure to catch him a year or more ahead! Get ready to shell out up to ₱175,000 for a full video coverage, same-day edit, and highlights cut. *Disclaimer: Prices stated on this post may vary from actual prices. We suggest you contact the suppliers directly so they can give you a more precise quote for your specific needs.